Zevrix Solutions announces Output Factory Server 1.1, a feature update to its output workflow automation solution for Adobe InDesign. Output Factory Server automates printing and exporting from InDesign by processing files from hot folders. The software offloads output tasks to a central system leaving operator workstations free from the output process. The new version introduces a new email notification engine with support for SSL connection security and improved performance on OS X Yosemite. Toronto (ON), Canada (February 4, 2014) — Zevrix Solutions today announces the release of Output Factory Server 1.1, a feature update to its solution to automate printing, exporting and post-processing from Adobe InDesign. Developed originally for a major magazine publisher in the United States to free up their operator computers from outputting InDesign files, the software automates InDesign workflow by processing files from watched hot folders. The new version introduces a new email notification engine which adds support for SSL and TLS connection security, transfer progress and other advanced features. The new engine also solves some email transmission issues on Mac OS X Yosemite. 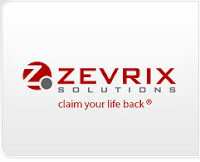 Output Factory Server can be purchased from Zevrix web site for US$699.95, as well as from authorized resellers. Trial is also available for download. BatchOutput Server users can upgrade for $350. Output Factory Server runs on Mac OS X 10.6-10.10 and works with Adobe InDesign CS3-CC 2014. Toronto (ON), Canada (November 24, 2014) — Zevrix Solutions today announces the release of LinkOptimizer 4.9.28, a compatibility update to its popular workflow automation solution for Adobe InDesign. Awarded 4 out of 5 stars by Computer Arts magazine, LinkOptimizer automates complex image manipulation tasks allowing to significantly reduce the size of InDesign links, save processing time and reduce production costs.